I’ve really missed these times of creating in the kitchen, and believe it, this is my first recipe of the year. A wonderful ‘fluffy’ start to the countdown to our most chocolaty time of the year – Easter. My mind is whirling with recipes and creative threads for Easter, and time allowing I hope to show you a few in the upcoming days and weeks…It’s not long so that means for us here in the southern hemisphere our first holiday break. And I’m so looking forward to it! 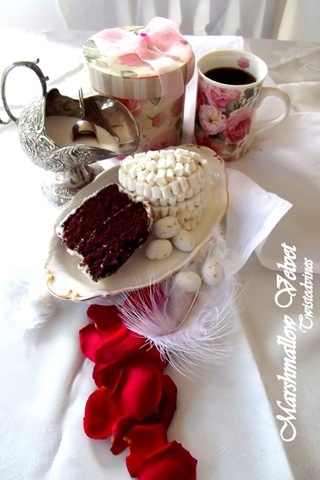 Marshmallow red velvet cake, smothered in mascarpone frosting, half with coconut and the other with mini white marshmallows. Served with Arabic coffee. 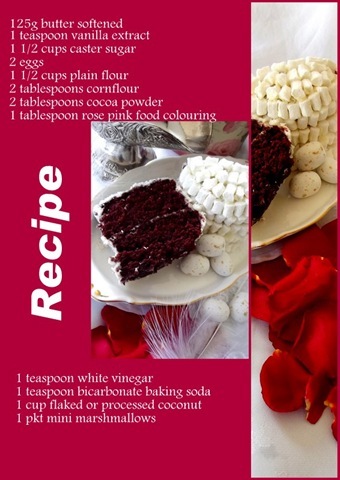 A soft moist red velvet mixture covered with mascarpone frosting smothered in a bis of coconut and mini white marshmallows. Sharing this with a friend, is the nicest way to spend the afternoon…over a cup of tea of coffee. My new ceramic coffee mug, unique with its Summer Rose Collection print, charmed by a little chatter and an aromatic taste of Arabic coffee. With the start of Spring today in the Northern Hemisphere, wishing everyone wonderful warmer and sunny days. Wow Yvette, what a great first recipe of the year! Beautiful. Sounds amazing – and looks even more impressive! Love the pictures. That looks amazing! I had a red velvet cupcake yesterday and now have cravings for more. Might have to try this tonight. I saw the black and white version first. It looks yummier in these shots. You are a wizard in the kitchen! 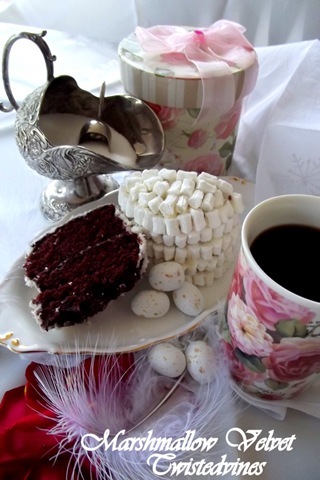 Yummy looking cake and a sweet tea time vignette! Oh my! 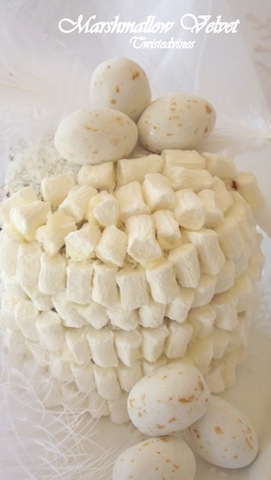 A marshmallow cake! I have a weakness for marshmallows! What a yummy post! And such a beautiful “tea” mug (wink, wink!)! I love all the roses that cover it. These are my favorite types of mugs. 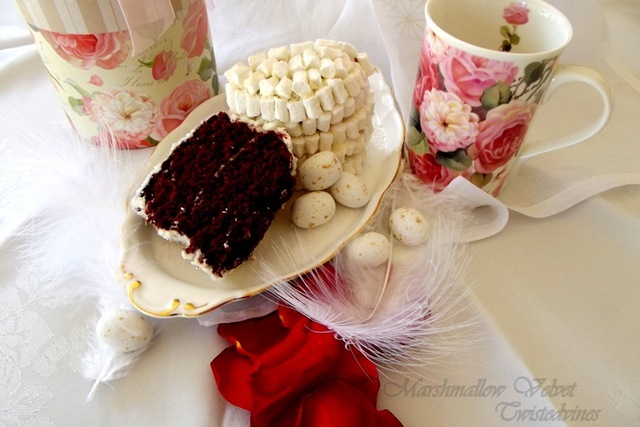 very nice:) I like the idea of marshmallows on a cake. 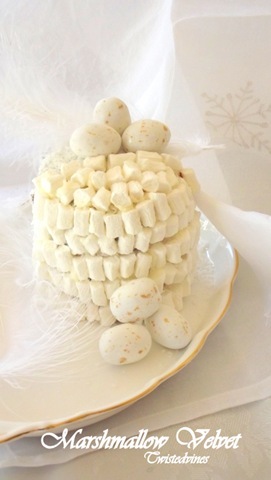 Thanks Sue, for calling by, these mini marshmallows can now be found sugar free also, so the ‘sweetness’ is lighter but still giving a wonderful texture to a plain cake. Have a great day! What a luscious looking cake! 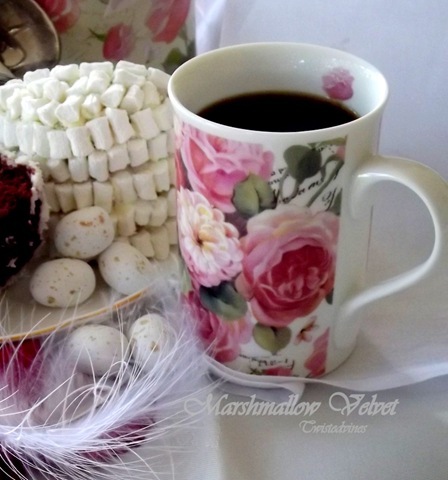 It would taste so wonderful with coffee in your gorgeous mug! Such pretty photos too! So happy you’ve joined me for tea today. Have a lovely week. 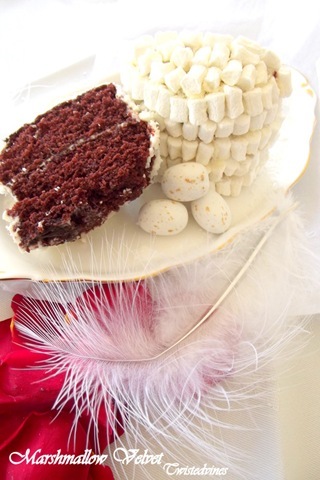 Oh, Yvette, I absolutely love your vignettes of the cake, coffees, feather.. sooo pretty and yummy looking. 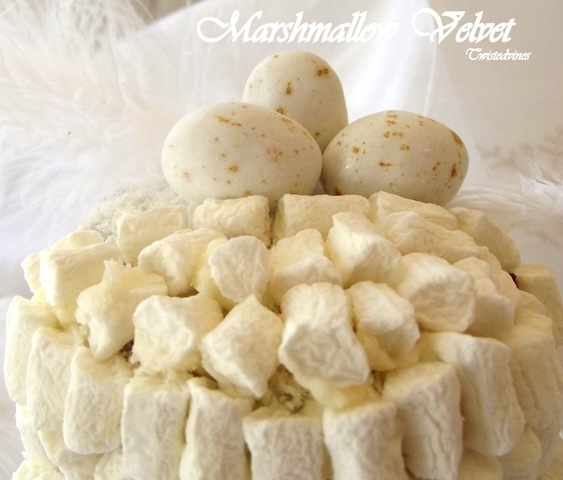 All that marshmallowy and coconut goodness over that moist looking dark cake. You are a master of cooking and photography and so much more. Thankyou for calling by, I had ‘fun’ decorating this cake, theres something about the texture of ‘fluffy’ mashmallows that catches the eye! 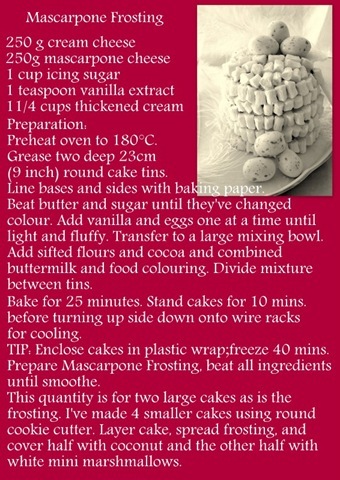 OMG doesn’t this cake look like fun to prepare and luscious to eat. I’ve never seen anything quite like this. I can’t way to give it a try. Thank you for sharing the recipe and beautiful photos! I love this recipe! thanks for sharing. the pictures are beautiful. We’ve been getting really exited about easter too. You might like our special easter hot cross bun post including a recipe!